You may recall this McCalls 3145 One Hour Wrap Skirt I did last year. I thought it would make the perfect skirt for Easter. 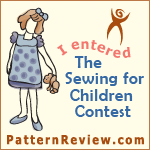 I also have this pattern and chose the peplum top to go with the skirt. I bought white linen fabric last year to make the top and a very pretty cotton for the pants. I just never got around to it. Anyway, here is the preview of my WIP. I found the paisley fabric at Joanns and loved the colors. The fabric for the top is very light and flowy with a crinkly look. Here's a close up. I think the colors will work very well together. Since the paisley fabric is a polyester blend, it doesn't hang like the first skirt made of 100% cotton. I had to make some adjustments to the fit. I'm not quite there yet, but I think I'm close. I'm at a stand still with the top until I find the right zipper. No one in this area has the right length in the right color. I'm tempted to just order a metallic chunky zipper and make it exposed on the back. I think silver might work. Then I can wear a pretty silver sandal to pull the look together. The top went together fairly easily, but I can't determine the fit until I get the zipper installed. This is my first top, so that will definitely be trial and error.The reviews I've read are not favorable with the fit. Angela - gorgeous fabrics! I love both of them. I hope you can find a zipper! Reusable Grocery Bags - Love, love, love them! !